At Flowers by the Sea, we're always pleased when customers share photos and information about their experiences growing Salvias and companion plants. When the pictures concern plants purchased from our farm and online nursery, we can't help but feel proud. So we decided that some of you might be glad to pass on tales, tips and terrific pictures that everyone can access. 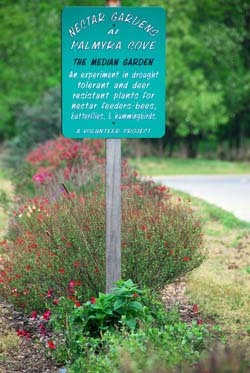 Portraits in Gardening allows readers to peek into the lives and yards of FBTS customers who are passionate about the Salvia genus for many reasons, including the desire to grow wildlife habitat that encourages pollinators. 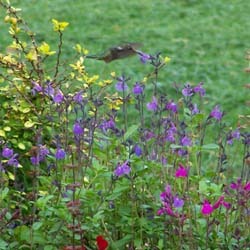 Due to rich nectar and long bloom times, Salvias are well known for attracting butterflies, honeybees and hummingbirds. The gardeners who participate in this series graciously allow us to publish their photos as well as interviews about their gardening experiences. We see the sharing of garden stories as a celebration of a favorite activity as well as a learning tool. When growing plants, we all learn from a combination of disappointing mistakes and thrilling successes. We gain from each other by listening as well as sharing. 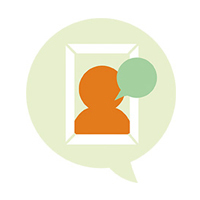 For more information about Portraits in Gardening, please write or call us. We look forward to seeing your pictures and hearing about your garden. Portraits in Gardening is a new blog series from Flowers by the Sea that profiles customers who are passionate about the Salvia genus. 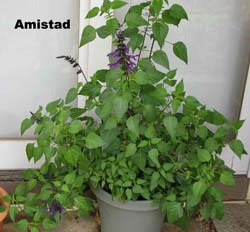 This post features Illinois gardener Michael Kampf who has succeeded in growing many kinds of Salvias despite the frigid winters and fiercely hot summers of the Chicago area. He began gardening when 6 years old with encouragement from his mother and fell in love with Salvias at age 12. 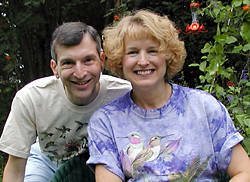 Portraits in Gardening is a new ongoing feature in the Everything Salvias blog of Flowers by the Sea. This first post focuses on Dave and Eleanor Holland's Northern California garden, which beckons bees, butterflies and hummingbirds due to its abundance of sages, including the Mountain Sage hybrid Salvia x 'Maraschino'.